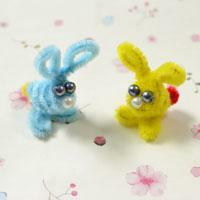 Here is a tutorial on how to make an easy chenille rabbit craft. This soft material will make it feel like real rabbit. 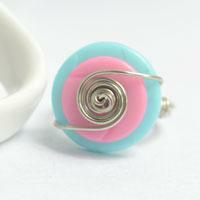 Learn how to make a wire wrapped button ring in pandahall learning center. 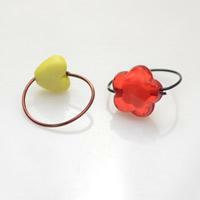 And add a new item to wire wrapped ring ideas of kids’ crafts. Learn how to make rainbow loom earrings with multi-colored wood beads and golden jump rings in pandahall learning center! This DIY lovely heart ring and star ring are suitable for kids to make for themself, moms or best friends as a gift. let's show you the details about how to make wire rings with beads. This tutorial is going to display you a detailed way about making a seed beaded waterwheel necklace. 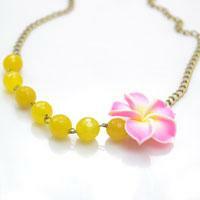 By mixing 7 pieces of faceted-round jade beads, 1 pink handmade polymer clay plumeria bead and 1 metal bowknot link, even a beginner can make easy spring flower necklace instantly! 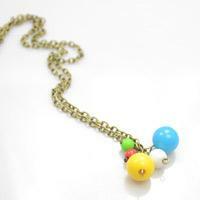 This simple tutorial is to show you how to make a chunky bead necklace with chains and faceted wood beads. 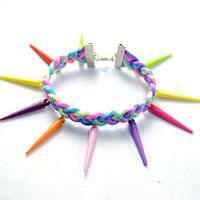 This tutorial is going to show you how to make a candy cane bracelet with rainbow beads. 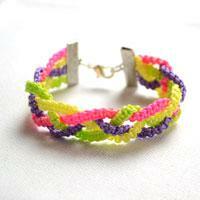 Just 2 steps to finish off this cute bracelet! To make earrings for beginners, first select a stack of favorite charms and beads. 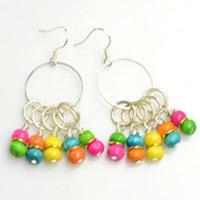 Then, decide the type of earrings you want and find the appropriate findings. 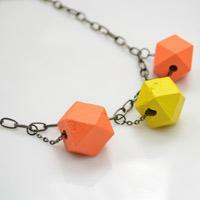 My DIY cluster necklace is a fast jewelry craft that requires less time and focus than inspiration ones. This is a free project which will tell you a simple way to make a multi-strand ring with multi-colored and –sized seed beads. 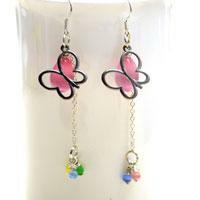 Check out below if you wondered how to make pair of fancy pink ribbon earrings. 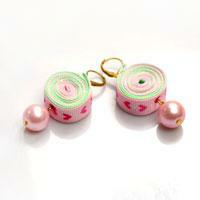 Just tuck the ribbons into a roll and then hang on the pearl dangle! Tada! 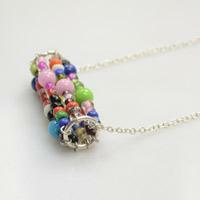 I make diversified charms with multi-colored and –shaped beads, and attach them onto bracelet chain; so create this cute charm bracelet. 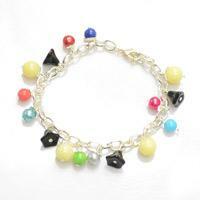 How to make a bead bracelet with only 2 steps? Just try a stretch bracelet then. 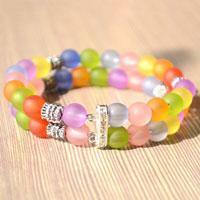 In this project, just have fun with the versatile elastic cord and a set of pastel jade beads. Long dangling earrings are fun to wear and give as gifts. 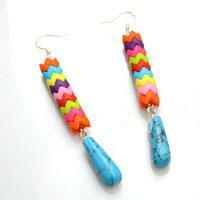 Here, I will show you how to make a pair of dangle earrings by using rainbow saw-toothed beads. 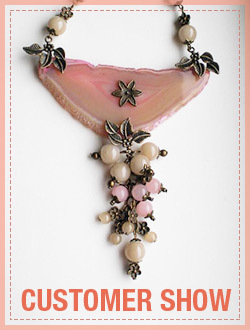 Designing your own jewelry is full of fun. Just as the DIY braided bracelet with beads tutorial I will show you later, it is not only easy to make, but also cute and inexpensive. 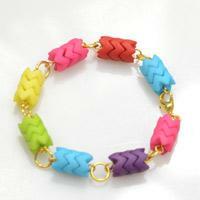 Maybe this step by step friendship bracelet will take you a little time, but it is really very easy to make; and you just need some strings, this braided friendship bracelet will be created. Here will be a guide on how to make a beaded bangle. I come here and share this handmade beaded bracelet with you as long as I finished this project. We are trying to figure out some good jewelry making ideas all the time. 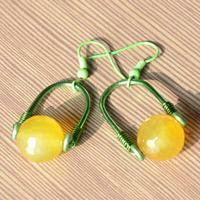 And this time, we want to share the yellow earrings with you. Hope you like them.